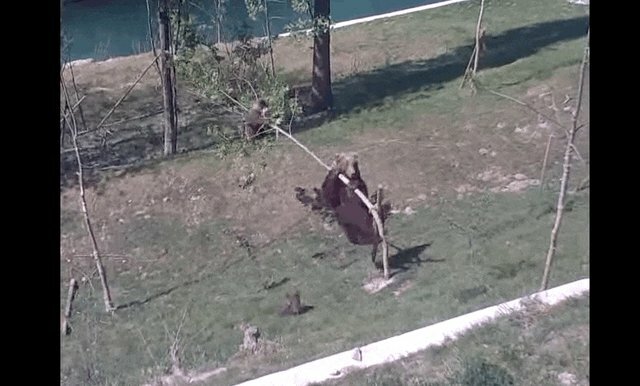 This mama bear is totally going to get her cub to come out of that tree - whether he wants to or not. 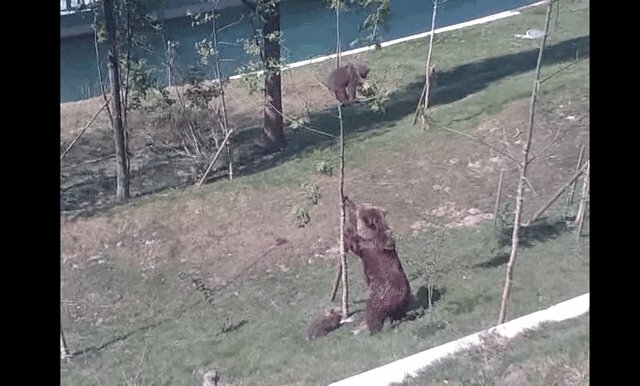 As a crowd looks on, Bjork, a bear at the Bärenpark Bern, a bear habitat in Switzerland, tries every trick in the book to get her baby down. 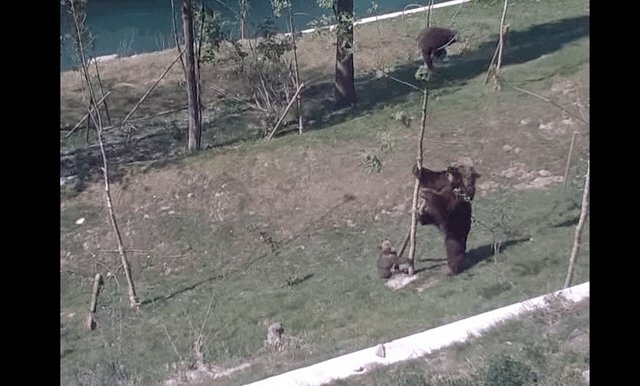 It's not clear if the cub is rebellious or stuck ... but either way his mama isn't going to rest until he's safely on the ground with her. "If you're not coming down on your own then I'm just going to come up there and get you!" Finally she just snaps the tree at the trunk and her little baby comes plopping down. "Come here! You're in trouble, Mister." It's true what they say, being a mom is the hardest job around. 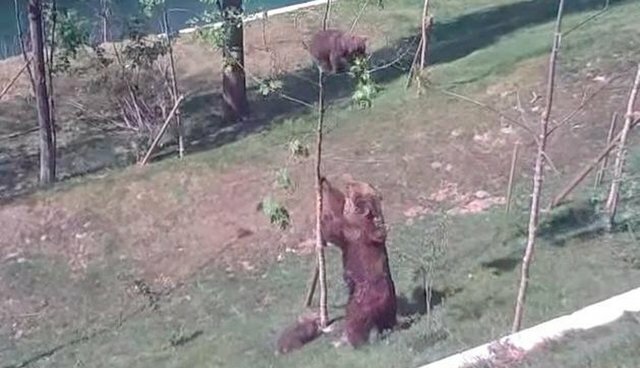 This video was filmed back in 2010, so the cubs are all grown up now, but the whole family is still living at the Bärenpark Bern together.